Turkish Coffee is made from high quality arabica coffee beans from Central and South America that are blended and carefully roasted, then very finely ground. The coffee is mixed with water and the desired amount of sugar and cooked in a “cezve”, or Turkish coffeepot. The coffee is served in small cups. The coffee must be left to stand for a short time after serving to allow the grounds to settle at the bottom of the cup. In contrast to other brewing methods, it is especially important that the coffee comes to a boil while brewing. The finely ground coffee is brought to a slow boil over low heat. Thanks to its strong body, delicious flavour and long-lasting aroma, a cup of steaming hot Turkish coffee is a guaranteed favourite with all coffee lovers. 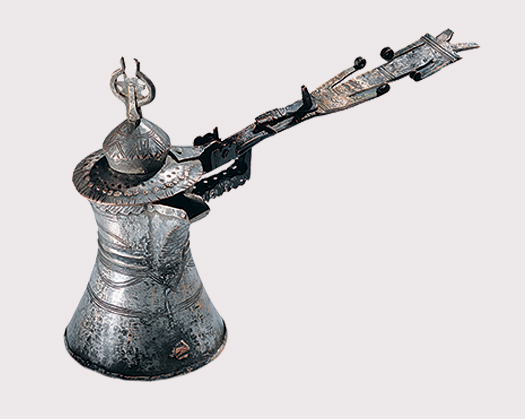 Prepared in a cezve or “güğüm” (copper vessel) using the technique invented by the Turks, the drink became known as Turkish Coffee. Thanks to the efforts of merchants and travellers who passed through Istanbul, and even Ottoman ambassadors, Turkish Coffee’s renown soon spread to Europe and ultimately to the whole world. In 1871, Kurukahveci Mehmet Efendi was the first company to sell roasted and ground coffee to the public. Today, Turkish Coffee is synonymous with Kurukahveci Mehmet Efendi both in Turkey and around the world. Is the only coffee that can be used to predict the future. Cafedomancy: The use of coffee grounds to cast fortunes. Is healthy as the grounds that settle at the bottom of the cup are not drunk. Does not cause bloating, even if enjoyed often, as it is served in small portions. Contains less caffeine in one serving than other types of coffee. Is practical and economical because one only needs a cezve to brew it. To be enjoyed at its best, must be consumed immediately after roasting or else properly packaged in order to preserve its aroma. Merging traditional attention to detail and the latest technology, Kurukahveci Mehmet Efendi carefully roasts, grinds and packages delicious Turkish Coffee. Drinking coffee is a unique pleasure for Turks. A cup of Turkish coffee is endowed with a variety of important connotations for Turks: friendship, affection and sharing. This is best illustrated in the old saying: “A single cup of coffee can create a friendship that lasts for 40 years”. Turkish coffee is such an intrinsic part of Turkish culture that it has given its name to the word for breakfast, “kahvaltı”, which translates as “before coffee”, and is derived from the words “kahve” (coffee) and “altı” (before). Serving a cup of Turkish Coffee is also a way of sealing a friendship. The preparation and care taken by a host in serving Turkish Coffee to his guests is an important aspect of hospitality. In Turkey, it is traditional for a prospective bride to serve coffee to her suitor and his family when they come to ask for her hand in marriage. Accepting a cup of coffee is a source of pride to the person who offers it. This is illustrated in the Turkish expressions “his coffee can be drunk” and “I would drink a cup of your coffee”. Nothing compares to long, friendly conversation over a cup of frothy Turkish Coffee, followed by having your fortune told. Love, success, money, fortune: the art of reading coffee grounds is as old as coffee itself. Coffee fortune telling was born out of Turkish Coffee and is an inseparable part of the pleasure and conversation associated with coffee. This ritual spread to Europe at the end of the 17th century when it became fashionable in Paris, from where it spread to Austria, Hungary and Germany. After the coffee is drunk the cup is placed upside down on its saucer. The person whose fortune is to be read says, “Let my fortune match my state”. After the cup has thoroughly cooled, the fortuneteller examines the patterns formed by the grounds. The aim is generally to impart good news and to promote a positive outlook on the future. This signifies that your greatest dreams will suddenly come true. A reminder that one shouldn’t believe everything one hears. Be careful. If you believe everybody all the time you may regret it in the end. Great efforts are needed to win the heart of a person. You must make sacrifices. A sign of money. In the near future money is going to come your way. A sign of a happy event. It might be the sign of an engagement or you might be invited to a wedding. This shows that you will unexpectedly run into a friend. This friend is going to do you a good turn. This shows that the outcome of a governmental or legal matter in which you are involved will be in your favour. A sign of success. You will work very hard and be rewarded with great success. A sign that goods or cargo are coming your way. You will very shortly receive some money. But you must be prudent. This means that you will receive news from an old friend or will make a new one. It is generally an indication of a good conversation. A friend will ask for your help. Never take this lightly; lend a helping hand. You will take an overland journey and on your return you will encounter great luck. An indication of travel. It may be a short or long trip. It may also mean an investment. You will receive a present. It can also indicate easy money. You will go on a long vacation. You will meet new people and see new places. There are two meanings to this sign: the first indicates the existence of someone who is jealous of you, the second shows that there is a person who follows you with interest. A sea voyage is in the offing. Either you will go on a sea voyage or you will go on a business trip by sea. Your luck is turning for the better. Your plans for marriage are on the right track and you will be promoted to a higher position or rank. You will have a new adventure or enter a new friendship. If the points are very close to each other, you will have to show a little patience. A sign of happy marriage or the beginning of happy days within the family. A sign that you may move out of your home. It may also mean winning somebody’s heart. If there is a leaf nearby, discretion is called for. An indication of an undecided friendship. It means that you must be more determined and resolute. Be careful. A sign that you will spend a great deal of money. Be careful and prudent. In the past, coffee was roasted at home on roasting pans. 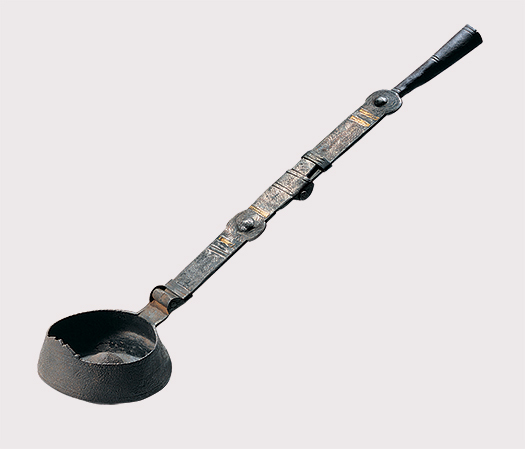 A roasting pan used in the palace and in grand mansions. Two types of roasters were used, a “tava” (pan) or a “tambur” (cauldron). The pans were made either from beaten iron or, more rarely, from fired clay. The pans had long handles, some of which could be folded. Some of the large pans were mounted on wheels to make it easier to pass them over the fire. Others had roasting spoons attached to the pans by a chain. Roasting was performed over a stove or grill. 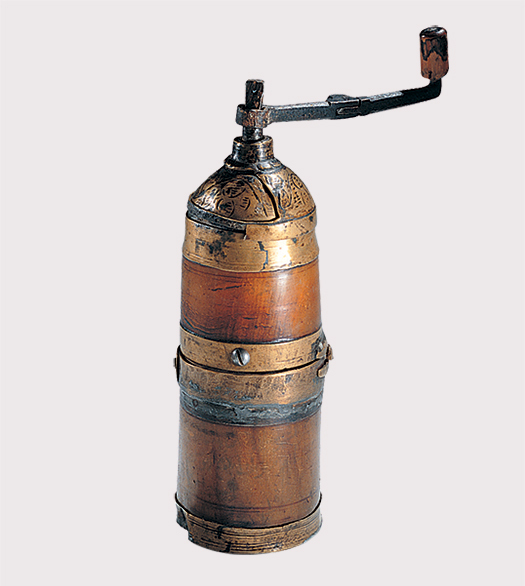 Cauldron roasters were made from sheet iron and consisted of a hand turned cylinder fitted onto a small, square grill. The roasted coffee was then transferred into a cooling bin and left to cool. The roasted beans were transferred into hand carved wooden cooling bins that featured an opening for pouring out the coffee. 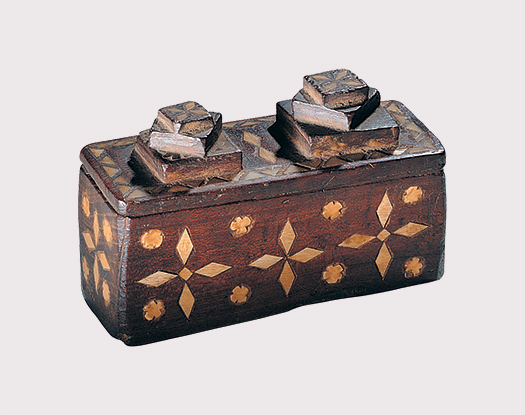 The matchless cooling bins were decorated with carved motifs and are one of the finest examples of Turkish woodwork. The coffee was ground in “dibek” (large mortar) and “havan” (mortar). The beans were then ground either with a “havan” (mortar) or in a “dibek” (large mill). “Dibek” were handmade from wood, marble or stone; “havan” were made from cast bronze. 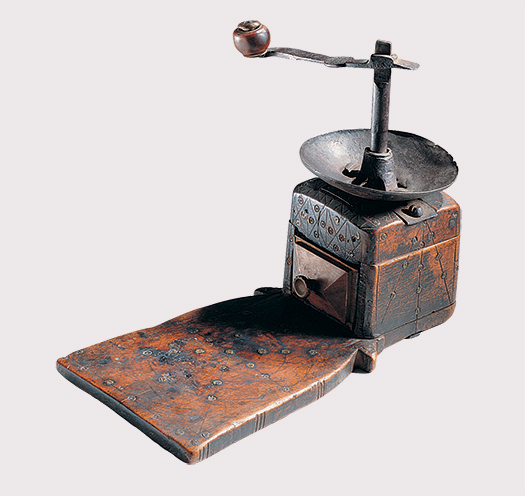 A hand mill was also used to grind the coffee. 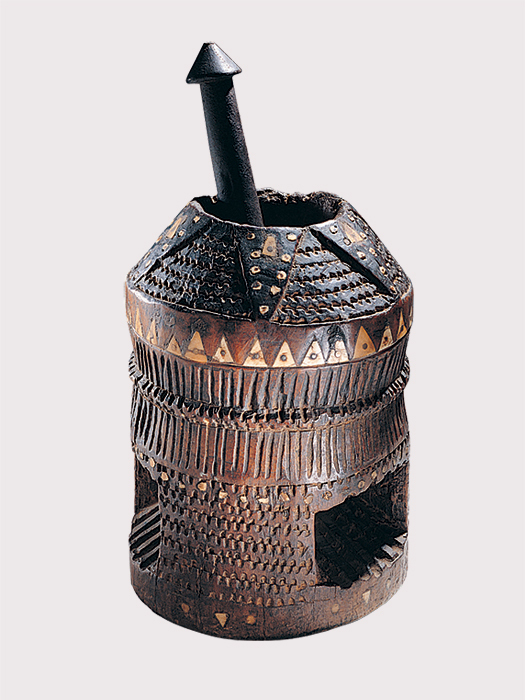 The beans were ground using pestles or mallets. Two types of mills were used: hand mills and larger “yer” mills. 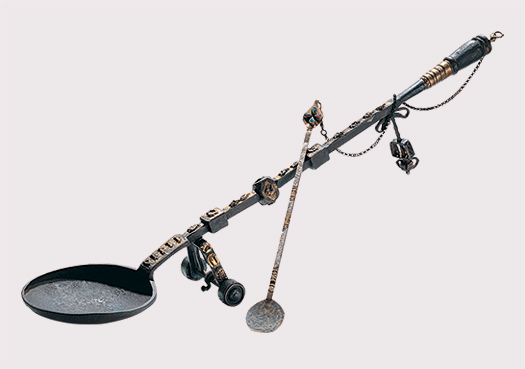 The hand mills were usually made of brass, although some had wooden handles. 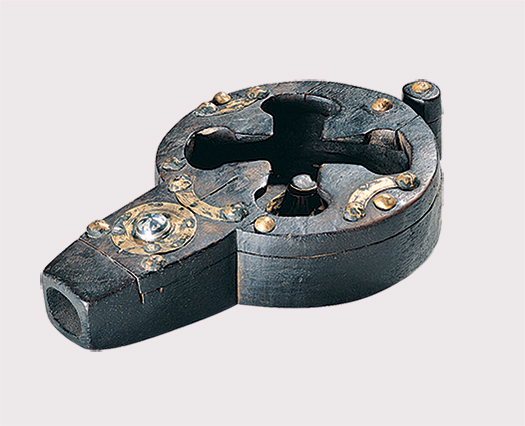 The “yer” mills were made of brass or wood, both of which had iron mechanisms. Wooden mills were used in addition to hand mills to grind the coffee. After the coffee was ground, it was stored in a wooden coffee box. Some of the “cezve” that were used to brew coffee had folding handles. Turkish Coffee is made from medium roasted, finely ground beans. It is boiled very briefly either with or without sugar. It is best if it has a good froth. It was originally cooked in tinned brass or copper vessels. Later, these were replaced by “cezve” made of copper or brass, which remain in use today. 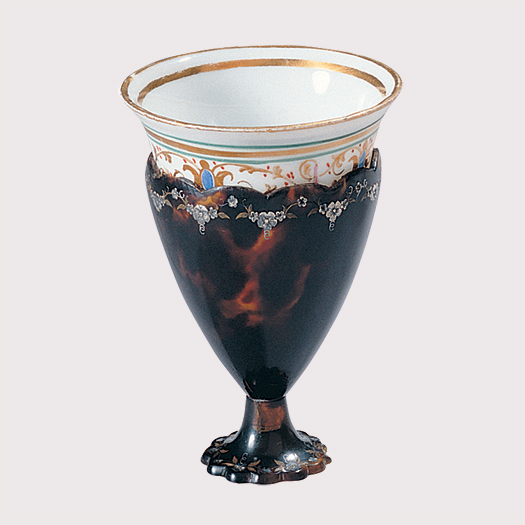 In the past, coffee cup holders were made of “tombak”, or gilt copper. Turkish Coffee has always served as a symbol of love, respect and hospitality. Turkish Coffee was served in special coffee sets by “kahveci güzeli” or coffee beauties in an atmosphere of great solemnity. A coffee set consisted of a coffee cloth, tray, cup holders, cups and saucers, as well as a serving “güğüm” that helped to keep the coffee warm. 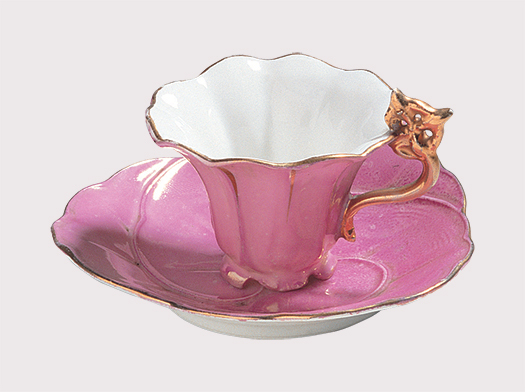 The finest trays, cup holders and saucers were made from “tombak”, or gilt copper. Later, these were made from silver and copper. Decorated with the “tuğra” or imperial seals, carvings or bas-relief work, they represent the pinnacle of Turkish metal workmanship. Handleless cups with holders were made of fine porcelain or china. The cups with holders were replaced over time by the handled cups made of porcelain and occasionally china that we use today. The way the coffee is presented is as important as the way it is brewed. Coffee cups have always been amongst the most elegant kitchen accoutrements. Turkish Coffee is the precursor of all the varieties of coffee served in Europe and around the world. Kurukahveci Mehmet Efendi has been producing world-renowned delicious Turkish Coffee since 1871 and is synonymous with the rich history of the beverage.